The Window Sash Bible is about the repair, maintenance, restoration and improvement of old or historic windows made from about 1800 to 1940. 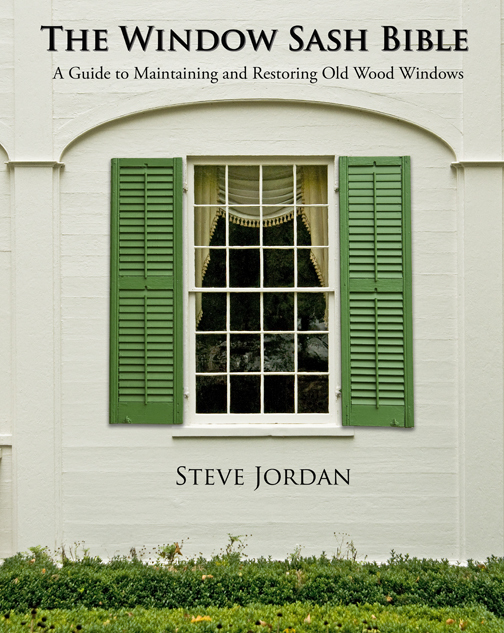 With so much misinformation provided by replacement window contractors and vendors, this book aids homeowners, do-it-yourselfers, carpenters, architects, designers, preservation commission members, and anyone in the old-house business make sound decisions about windows. Since most homeowners are unaware of their alternatives, The Window Sash Bible provides an array of options to save money, energy, and historic windows for decades to come. Steve has worked on many distinctive and significant historic sites providing various services including window repairs and consulting, graining and marbling, and condition inspections specifically related to historic building material conservation. Since 2002, Steve has repaired or restored over 3000 windows, most in ordinary homes built between 1830 and 1960.